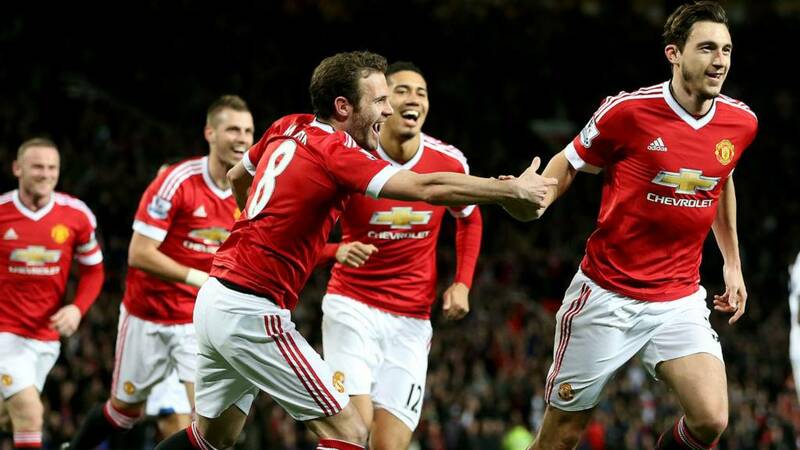 A very comfortable victory for Manchester United who head for Wembley in confident mood. Problems for Palace, who have won one league game in 2016. Louis van Gaal looks satisfied as he closes the binder he carries around with him. Job done by his side tonight. Some United fans are making an early move for the exits, heartened by a performance which will give Louis van Gaal's side confidence ahead of the FA Cup semi-final. Palace are much-changed but have offered little and although they are close to confirming another season in the top-flight, their safety is yet to be confirmed. Wayne Rooney gets a decent ovation as he is replaced by Marouane Fellaini. A good night for the United skipper. United have hardly broken sweat. Another change as Anderr Herrera comes on for Lingard with Louis van Gaal looking towards Saturday's FA Cup semi-final against Everton. Two Palace changes - James McArthur is on for Cabaye after Jordon Mutch replaces Lee Chung-yong. United are cruising to three points. Daley Blind is booked for a foul on Wilfried Zaha before Marcus Rashford goes off to a standing ovation as Memphis Depay comes on. Marcus Rashford storms into the Palace area before teeing-up Jesse Lingard. Surely goal number three? The keeper saves before Rashford latches on the rebound and is also thwarted. If this does turn out to be a dress rehearsal for next month's FA Cup final then United will fancy their chances of finishing the season with silverware. Palace have been as poor as United have been creative, alert and lively. Take a bow Matteo Darmian as the Italian defender chests down on the edge of the area before lashing the ball into the back of the net. It's nothing more than United deserve. No 1-0 win tonight. Another tremendous save by Julian Speroni denies Juan Mata from close range but the United players should have done better. Alan Pardew is giving his players a chance to prove themselves before making any changes. Great defending by Pape Souare keeps out Wayne Rooney's goal-bound shot. The second half has started the way the first half ended - with the hosts on top. Don't players tie their laces before coming out on the pitch? Wayne Rooney is down on bended knee making adjustments to his footwear before Lee Mason signals the start of the second half. "Bastian Schweinsteiger is an interested spectator at Old Trafford. The Manchester United midfielder must be happy with what he has seen. "United have put in one of their most effective attacking displays of the season and should be more than one up. "The absentees will be sorry they missed it." "There is a Manchester United supporter sat in the stand below the directors' box who has been filling the quiet moments at Old Trafford by bellowing a demand for the hosts to push on and get a second. "Its a bit harsh given how much the hosts dominated that opening period. But the gap is only one and I wouldn't like to be sat next to him if Palace get an equaliser in the second half." Julian Speroni is keeping Palace in this. Manchester United have the lead but they have only scored one. Can Palace claw an equaliser? Ouch! Pape Souare lunges at Juan Mata with an out of control challenge. Palace can count themselves fortunate to still have 11 players on the pitch. It's Manchester United 1-0 Julian Speroni. Marcus Rashford and Jesse Lingard are swarming over Palace's defence. Both go close before Speroni pulls off a stunning stop to keep out Anthony Martial's powerful shot. Lovely save. Red sky above a hushed Old Trafford. United are trying to kill this game off before half-time. If the score stays like this then United's past five league wins will have ended 1-0.